Can cell leases reduce property value? - Antenna Management Corp.
Can cell leases reduce property value? Can cell leases reduce property value? Cell site contracts may reduce property value by limiting a property owner’s ability to manage, develop, finance or sell their proper assets. Unlike most other landlord – tenant relationships, a telecom lease falls under the Canadian Telecom Act which takes precedence over local and provincial regulations. This can have unseen consequences to the value of properties. Most property owners expect to have the rights to develop, finance, subdivide and sell their property. Each of these areas can be challenging enough to owners. 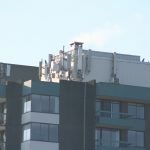 What they may not expect are further restrictions from their cell antenna leases requiring them to get approvals from their tenants to improve the value of their property assets. This can reduce property value. Telecom carriers prefer to secure their property interests using a Statutory Right of Way (SROW) which can be a major encumbrance which “flows with the land”, can put the tenant in a superior tenant position and can be difficult to remove. It may affect the owner’s ability to access, develop, finance and sell the property without the telecom carrier’s permission. Obtaining that permission may cause delays and lost opportunities. If it hinders the telecoms operations to the end of the lease ( often 20+ years) it may not be given. This could provide reduced property value and significant losses for property owners. Sub-leases and licenses can similarly reduce property value and control for owners. Once a telecom carrier has access to a site, the Telecom Act may allow independent access to the property by other telecom operators via subleasing or licensing. can make it difficult for an owner to restrict restrict use of the site by other telecom carriers. Those Tenants of the original carrier may then use the property and such use may restrict the owner’s options further. Typically, telecom carriers include the right to sublease or license the site to other telecom carriers and collect the rent. Defining the telecom site area can also create problems. Frequently with a tower site, the lease will define a fenced “site” but encumber the entire land parcel and access roads – not just the tower and shed footprint. Similarly, for building rooftops, the entire roof, access roads, paths, interior equipment rooms and exterior equipment shelters can be encumbered. To re-finance, develop, subdivide or sell the property, the owner may need the permission of the telecom carrier. As properties grow in value, buyers and developers may avoid properties with telecom encumbrances which can last decades. This can cost property owners opportunities and reduce property value. 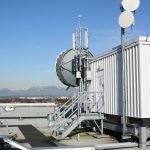 Antenna Management Corp. has also seen recent cabling expansions into residential and commercial buildings by telecom carriers to provide high speed internet access for tenants. Included in these agreements are the same restrictions allowing telecom carriers to add antennas on buildings, limiting the owner’s future options and property values. Some cell agreements also add a “Right of First Refusal” on the sale or leasing of the property, further limiting the owner’s options. It is prudent for property owners to get a professional site audit before entering into an antenna lease, telecom or cabling agreements. For those owners that have a cell agreement in place, concerted attention and immediate assessment in light of owners future plans for the property should be taken. There are planning options for most owners. Property worth millions can avoid restrictions that reduce property value and last 20+ years. This entry was posted in Cell Site Lease Problems, Cell Towers and tagged Cell site lease problems. Bookmark the permalink. ← The End of Cell Sites?